Temporomandibular Joint Dysfunction Syndrome (TMJ) is a common condition affecting a wide variety of people. TMJ is characterized by severe headaches, jaw pain of varying degrees, grinding teeth, and an intermittent ringing in the ears. The vast majority of TMJ sufferers are unaware that the root cause of these problems is something that a dentist can effectively treat. 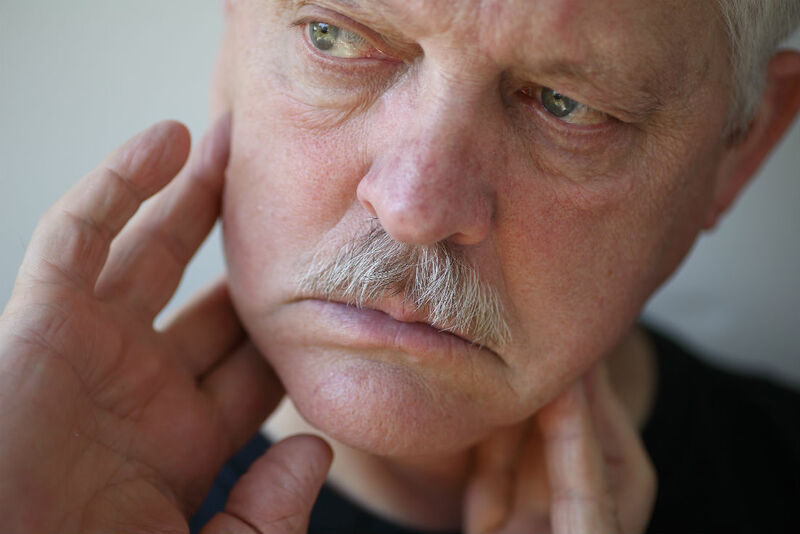 As a craniofacial pain specialist, Dr. James Rogge is able to determine if you have TMJ disorder and can provide orthopedic treatments for the condition. With extensive training and some of the most advanced equipment in the industry, Dr. Rogge is recognized as the leading TMJ Specialist in Dover, DE. It’s important to take action as soon as possible if you think you may be suffering from TMD. If you live in the Delaware area, we encourage you to make an appointment to see Dr. B. James Rogge at Walker Dental Associates in Dover. If you reside in Dover or the surrounding area and are suffering from persistent jaw pain or soreness, headaches, migraines, or bouts of lockjaw, we encourage you to schedule an appointment for an evaluation with Dr. Rogge. We are able to provide non-surgical TMJ and TMD solutions in many cases.